Wanna Know Which Hawaiian Island You Should Move To? Called the Garden Island for its endless lush forests and velvet green mountains, Kauai is one of the most naturally beautiful places in the world. 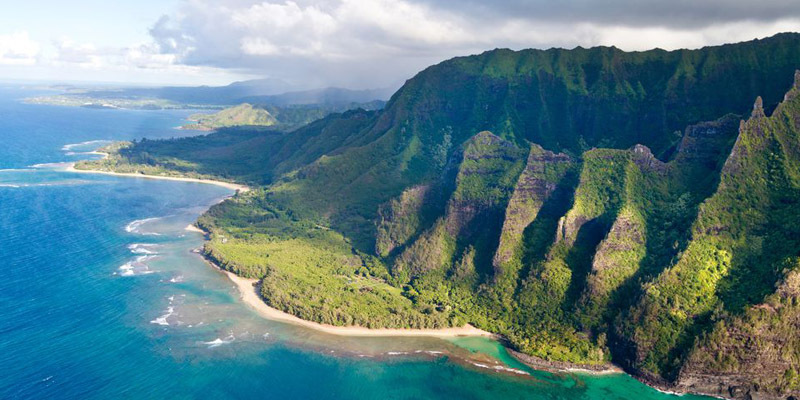 You might recognize the most iconic vista, the jagged cliffs of the Na Pali Coast, from Spielberg’s “Jurasic Park.” Kauai the perfect spot for adventurers, offering endless activities for exploring the great outdoors. Hike the island’s trails past waterfalls, secret beaches and breathtaking canyons. Oahu is a foodie’s paradise, home to incredible cuisine and a restaurant scene that has everything from no-frills poke shacks to upscale dining. Home to Honolulu, Oahu is a bustling island with a small town feel. It also happens to be home to some incredible beaches, rolling sunflower fields, stunning hiking trails, world-class surf swells, and beautiful natural swimming holes. The largest of Hawaii’s islands (hence the name), The Big Island is perfect for nature lovers and outdoor enthusiasts. It’s full of gorgeous natural settings and almost otherworldly landscapes from the black sand beach at Punalu’u to Hawai’i Volcanoes National Park and the mystical rainforests of Hilo. Maui is the most romantic of the Hawaii islands, home to 120 miles of coastline that boast some of the most incredible beaches in the world and absolutely stunning sunsets. Hop in the car and drive the scenic Road to Hana and explore Maui’s serene stretches of sand like Kaihalulu, Honokalani, and Wailea Beach.